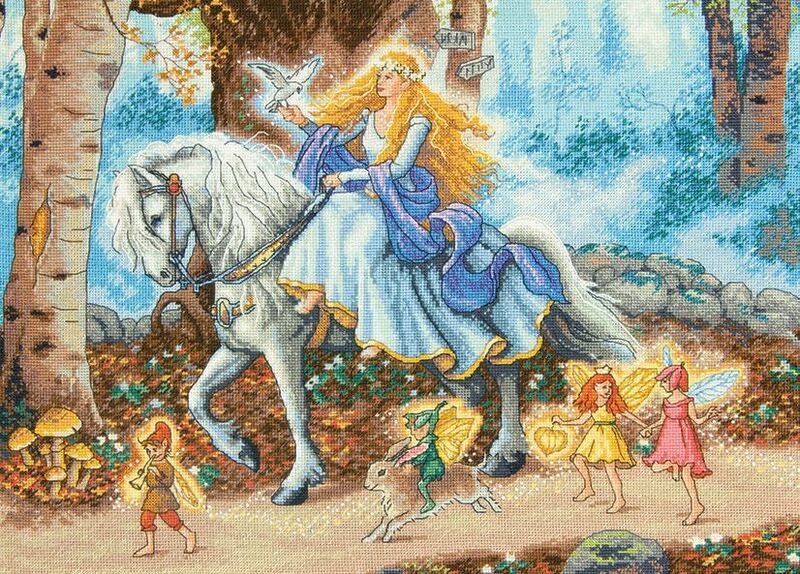 Wander into a forest filled with fairies and a magical princess with this stunning cross stitch kit from Dimensions. An ethereal, glowing scene, this lovely piece is complete with enough enchanting details to keep any fantasy fanatic entertained! 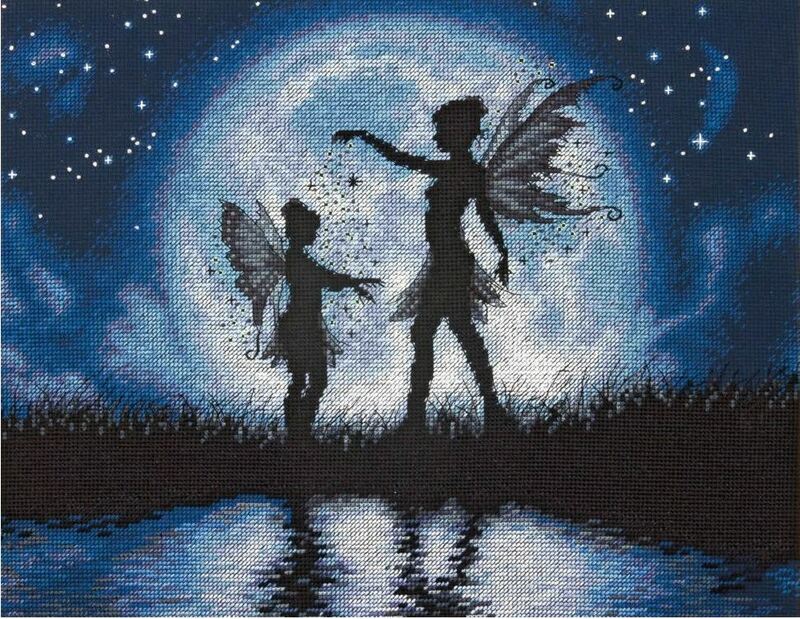 An other-worldly scene with a hypnotic lunar themed backdrop, this captivating cross stitch kit features two fairies in silhouette. Perfect for anyone looking to decorate their bedroom with a touch of fantasy and serenity. 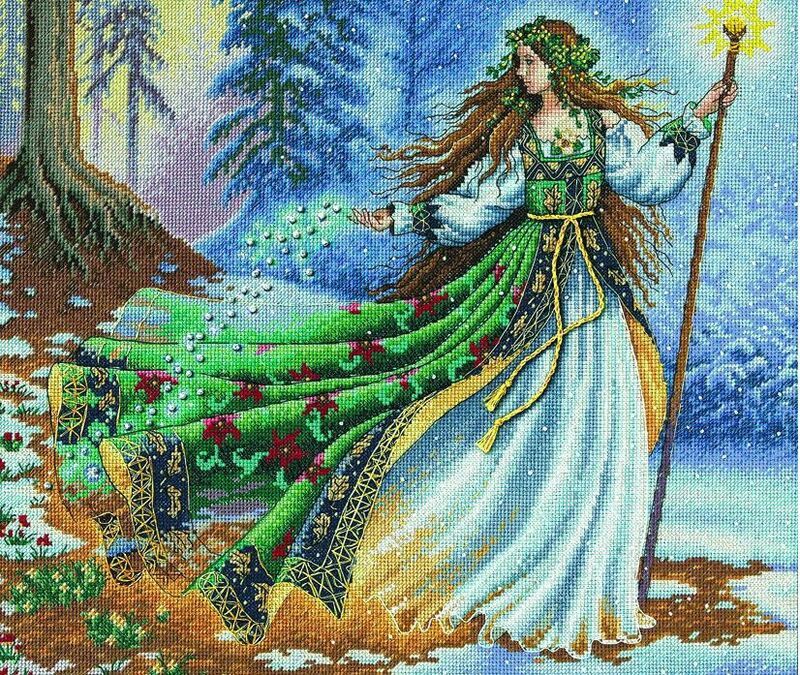 Full of magic and rustic beauty, this cross stitch design has a powerful enchantress standing in a snow dusted forest. A striking project to frame in any room of your home or to give as a gift to your fantasy loving friends! 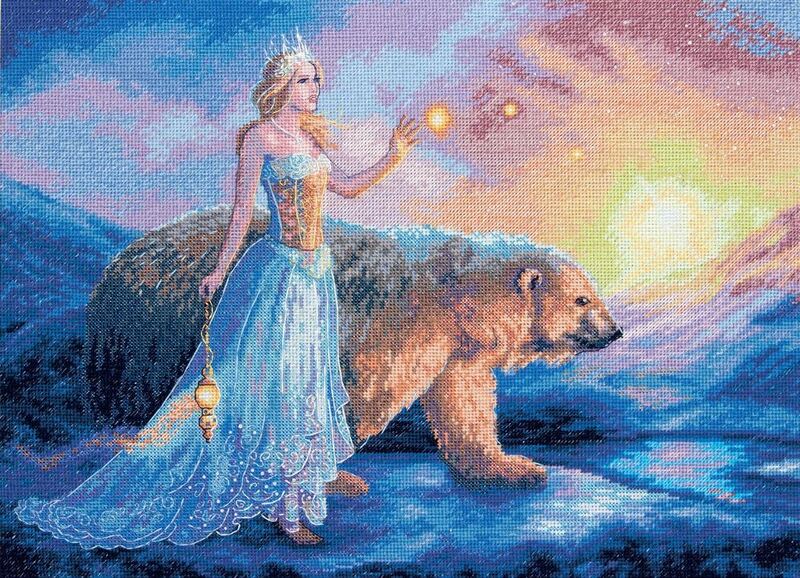 A Snow Queen, a polar bear and an icy landscape - this could be something from Narnia! For anyone looking to escape into another world, this dreamy design is made to catch your eye to its beauty. 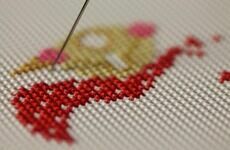 Features plenty of magical details to keep you interested while you stitch. 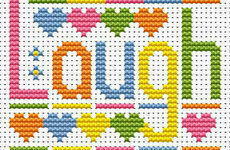 A majestically designed cross stitch kit to keep you going over the long winter months! 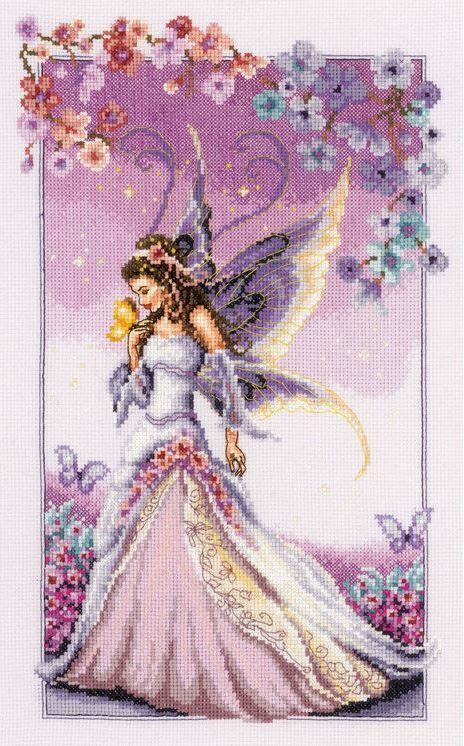 Features a beautiful fairy surrounded by flowery embellishments and butterflies, this purple masterpiece is the perfect gift to give someone who adores embroidery. 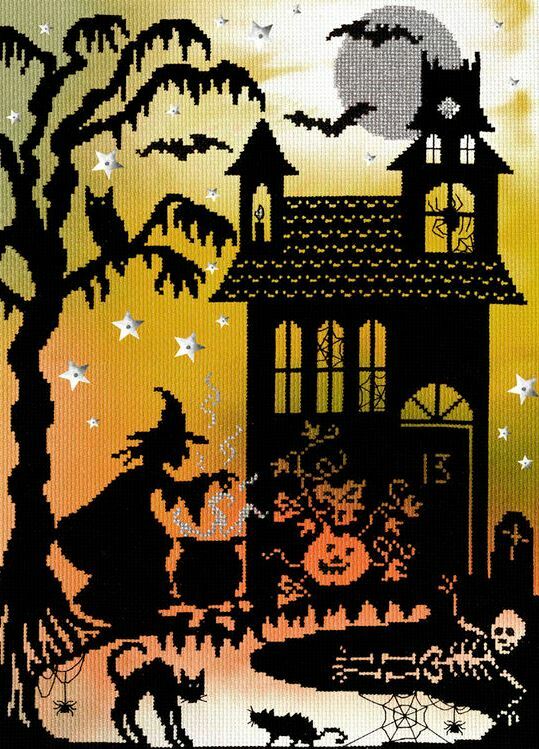 A bewitching treat for those looking to conjure up a spooky cross stitch design. Perfect for the run up to Halloween, this spellbinding scene features everything from a haunted house to the witch's cat against an eerie looking backdrop. 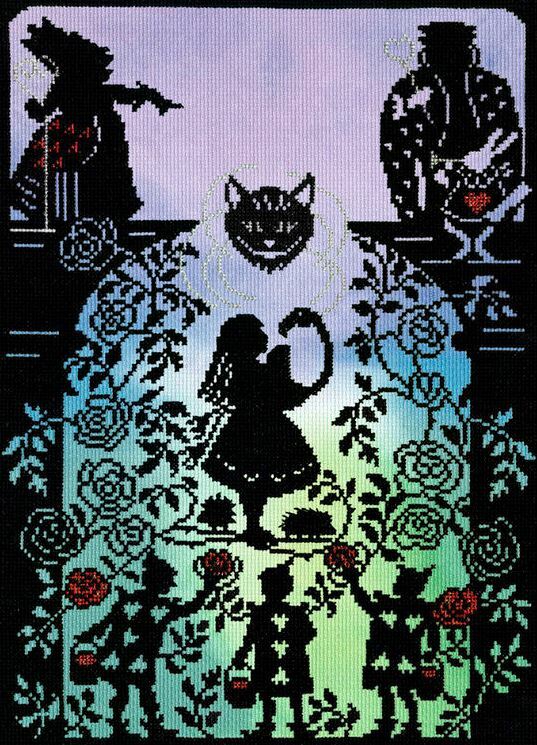 Taking inspiration from the famous Alice In Wonderland song, this cross stitch kit features a scene that's simply full of all your favourite iconography from the classic children's story. Your living room will be left with a touch of magic when you hang this on your wall. 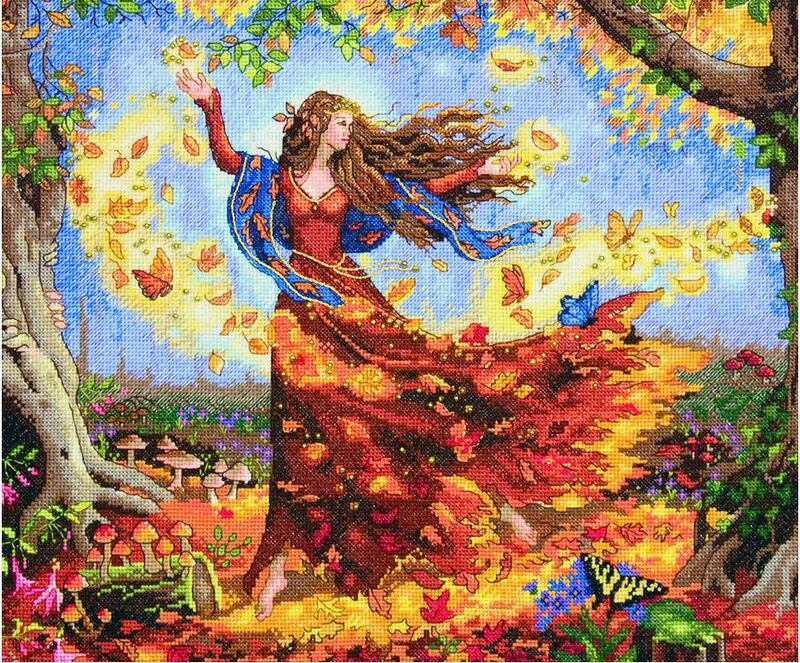 As you transition from summer into winter, bridge the gap with this Autumn Fairy cross stitch kit from Dimensions. 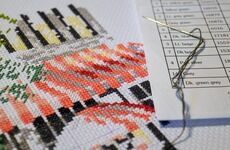 Full of falling leaves, beautiful wildlife and a colour palette of warm reds and golds...Make your late September cross stitch kits come alive with this wonderful piece. 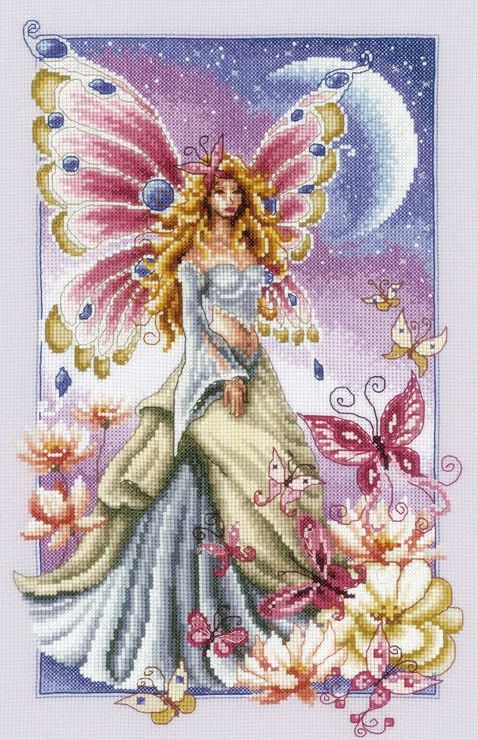 Send your imagination aflutter with a butterfly themed fairy cross stitch kit. Take your needle and thread on a magical adventure with this graceful fairy set against an ethereal background, complete with sparkling stars. 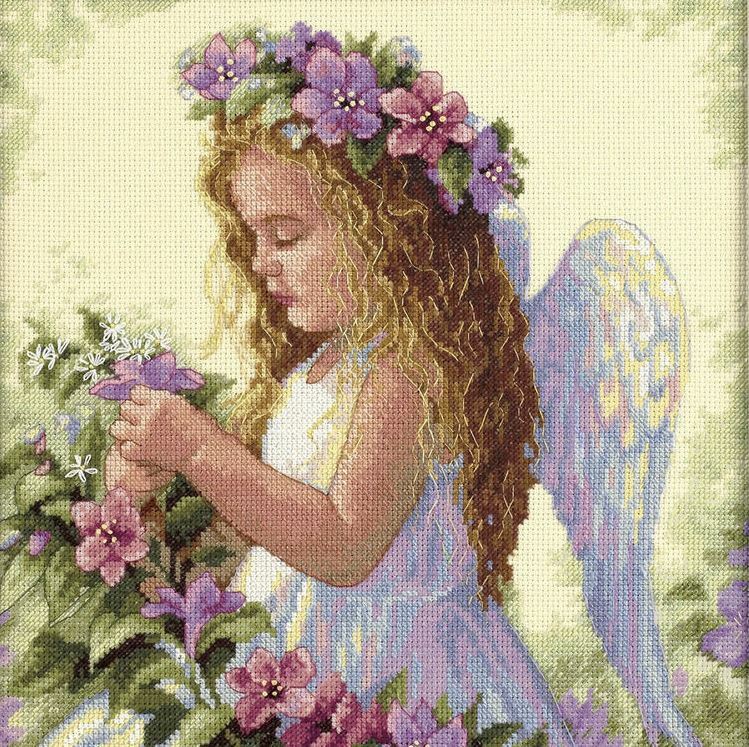 Innocence, enchantment and flowery details are the spellbinding elements that make up this angel themed cross stitch kit. Perfect for a christening, birthday or simply for your own enjoyment -you can't go wrong with this elegant design from Dimensions. Keep up-to-date with news, new products and future blog posts on our Facebook Page,Twitter and at Google+.